Howard Blight is the son of Gary & Shenah Blight who bought the farm in 1954. Howard lives on the farm with his wife Moya. Howard has three daughters, Nikki, Claudia and Lauren. Wynand Espach has been with Amorentia since 2003, he is married to Sarie Espach. They live on the farm with their daughter Nikita. Lauren Strever is Howard and Diane’s youngest daughter and is married to Nicholas Strever. They have lived on the farm since 2009. Sarie joined Amorentia in May 2015 and is heading up the newly established Dragon Fruit program as well as the Avocado Nursery. Peter Montsha has been the trusted Nursery foreman at Amorentia Nursery since 1998. Lianne Vermeulen joined the team early in 2016 as Personal Assistant to Management. Maggie Bopape has been with Amorentia since 2003. She runs all labour relations and manages stock and storerooms. Patrick Ramolefe has been with Amorentia since 2016, he runs Avocado and Macadamia production. Natasha Bezuidenhout is the friendly face that welcomes all visitors and keeps the office operational. She has been with us since 2013. The latest addition to the Amorentia team, Marcel joined us in January 2017. Steefan has been with Amorentia since 2013. 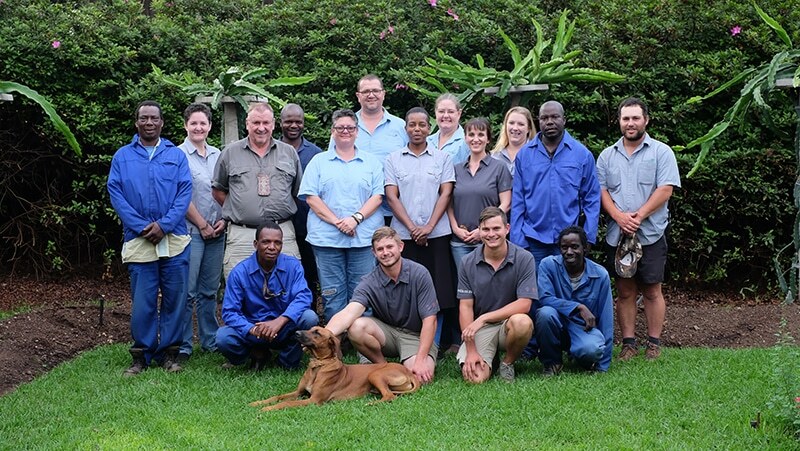 Danie has been with Amorentia since 2017. Sam is the Dragon Fruit Foreman and has been with Amorentia since 2014. Tshepo is the Ornamental Nursery Foreman and has been with Amorentia since 2006. Sunday is the Avocado Nursery Foreman and has been with Amorentia since 2014.